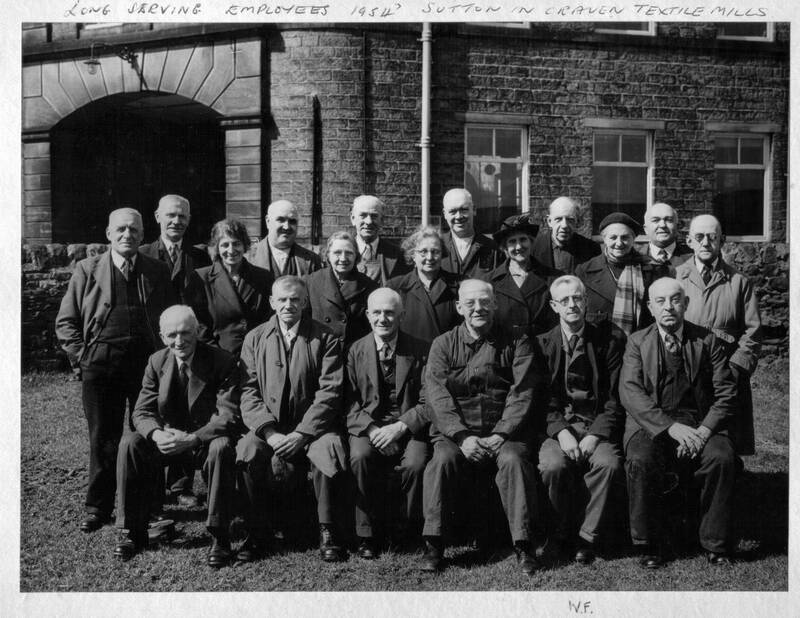 Chris Firth sent this scan of long serving mill employees outside Sutton Mills in 1954. His grandfather Willian Firth is second from the right on the front row. 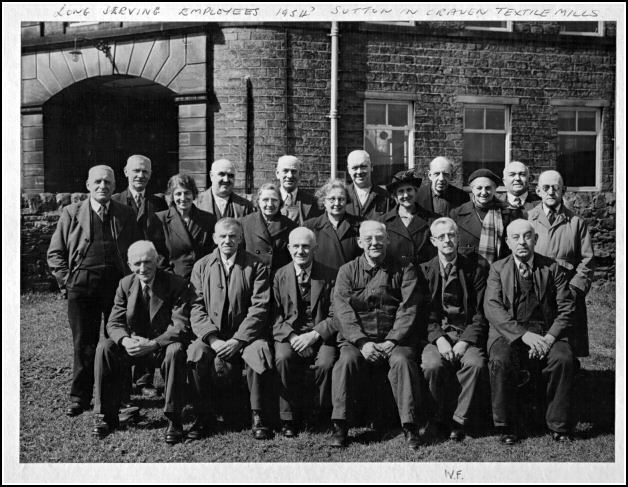 Tony Hattersley identified his grandfather Harold Baker on the right hand end of the middle row.